We are unable to combine the new accounts with your older account, since the registrations on the accounts differ. 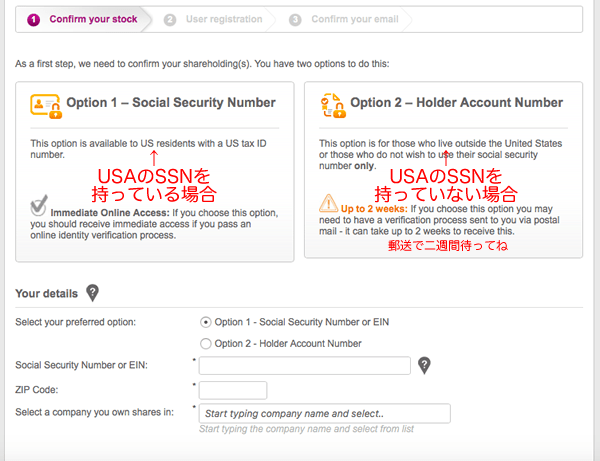 Currently, you will have to create a new user ID and password for the new accounts in order to view them online through the Investor Center. Before you gain access to your portfolio there’s just one final step we need you to complete. In order to confirm your identity, we will send a letter containing an verification code to the registered address we have on record for you. Once you receive it, just log back in, enter the code, and you will have full access to your portfolio. If your letter doesn’t arrive in the expected postal mail delivery time, please log back in and request another.